According to KidsHealth.org, approximately 2 million children in the country are affected by allergies through the food they eat. Allergies can lead to physical reactions that can disrupt a child’s activities, especially when they’re studying in a Preschool in New York. If you’re uncertain about your preschooler’s allergic response to certain foods, it can be helpful to know this list of foods that commonly triggers food allergies. This is one of the common food allergies that parents are very cautious about because eggs are a common ingredient of many food items. The good thing though is that children can also outgrow this type of allergy. About 2-3% of American children below three years old are allergic to milk or formula-based milk. Parents also need to be cautious as milk is a common ingredient of many food items. However, a majority number of these toddlers get over this allergic reaction as they grow older. Many children have an allergic reaction to peanuts and all similar nuts such as almonds, cashews, and hazelnuts. Unfortunately, children who have peanut allergies bring this reaction even to adulthood. The allergic reaction from soy usually occurs more in infants rather than in older children. Babies who show an allergic reaction to the cow’s milk also have allergic reactions with soy. Another common food allergen, wheat is also found in many food ingredients. Allergic reactions to wheat may result in life-threatening reactions when not attended to immediately. Always double check the foods that your child is eating. 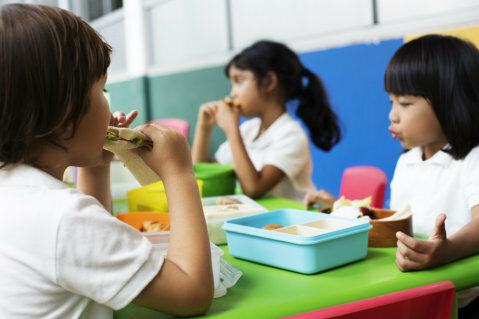 When you need to entrust them to providers of childcare in Bronx, New York, make sure you prepare their food yourself to dissuade them from eating anywhere else. Consult your child’s pediatrician for possible medications that are necessary to prevent worse reactions of any allergy. Be ready with anti-allergic medicines at home, in your child’s bag, and wherever you need to go. Allergic reactions can happen anytime, and you need to be prepared for these instances. Be alert for the signs and symptoms of an allergic reaction. The common signs include sneezing, itchy eyes, redness on the skin, and frequency of sneezing. Are you looking for a dependable childcare center to entrust your child while you need to be out for the day? Ask us! This entry was posted in Childcare and tagged Allergy, Food, Health, Wellness. Bookmark the permalink.